Recent studies from France and the Netherlands have shown patients with pleural mesothelioma can benefit significantly from a second-line immunotherapy drug combination. 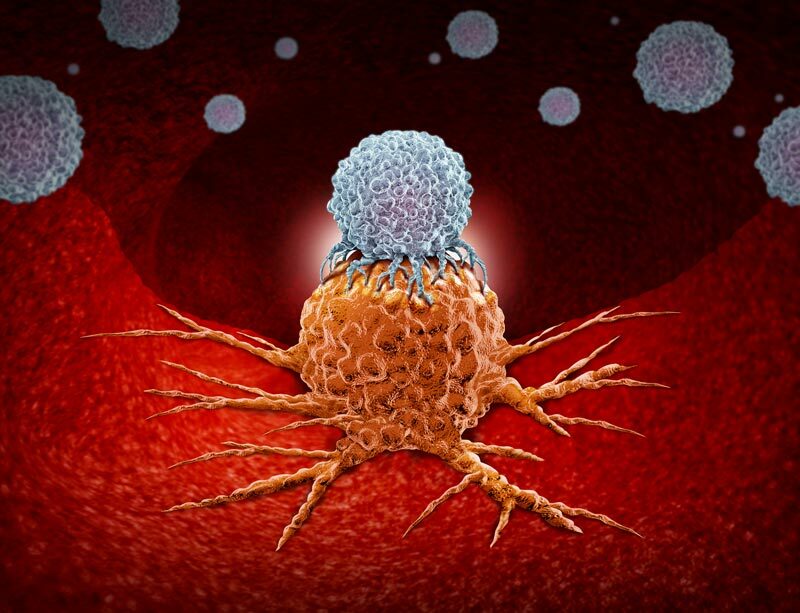 In separate phase II studies, the combination of Opdivo (nivolumab) and Yervoy (ipilimumab) created a synergy that helped stop or slow tumor growth after traditional chemotherapy had failed. Lancet Respiratory Medicine published the study from the Netherlands on January 16, 2019. Lancet Oncology published the study from France on January 18. Both studies showed similar effectiveness with the combination treatment. The authors referred new mesothelioma patients to the ongoing multicountry phase III study using the nivolumab/ipilimumab combination as a first-line treatment. There are 17 cancer centers within the United States involved in that clinical trial. Those include the Moffitt Cancer Center in Tampa; WVU Mary Babb Randolph Cancer Center in Morgantown, West Virginia; Cleveland Clinic Cancer Center in Ohio; Abramson Cancer Center in Philadelphia and Mayo Clinic in Rochester, Minnesota. Opdivo and Yervoy are both manufactured by pharmaceutical giant Bristol-Myers Squibb. The two drugs work in similar ways, but target different surface proteins that are found in several cancers. Opdivo targets the protein PD-L1, and Yervoy targets CTLA-4. Both proteins typically restrict a patient’s immune system and allow the tumor to grow. Negating those two proteins allows the immune system to better recognize tumors cells. Each of the drugs, known as immune checkpoint inhibitors, had already individually shown effectiveness for mesothelioma treatment. Together, they were better. The study in France compared the effectiveness of Opdivo alone to the combination of Opdivo and Yervoy. The trial in the Netherlands was a single-arm study of the combination. 12-Week Disease-Control Rate: 44 percent in Opdivo group and 50 percent in the Opdivo/Yervoy group. Average Progression-Free Survival: 4 months and 5.6 months until the cancer worsened, respectively. Median Overall Survival: 11.9 months and 15.9 months, respectively. Grade 3 or 4 Toxicities: severe side effects in 14 percent and 26 percent of patients respectively, including three deaths in the combination group. The study in the Netherlands included 36 patients from 2016-2017. In the group, 27 were men, and 30 had the epithelioid subtype of mesothelioma. The median time between the last systemic chemotherapy treatment and study enrollment was 6.2 months. 12-Week Disease-Control Rate: 68 percent (29 percent with partial response and 39 percent with stable disease). 6-Month Disease-Control Rate: 50 percent (38 percent with partial response and 12 percent with stable disease). Median Progression-Free Survival: 6.2 months. Grade 3 or 4 Toxicities: severe side effects in 34 percent of patients. “The regimen was well tolerated and toxicity was reversible and considered manageable,” the authors wrote. The phase III study of the immunotherapy combination is expected to attract an estimated 600 patients and continue until 2021. The mesothelioma clinical trial is measuring the combination against standard chemotherapy. There currently is no FDA-approved second-line treatment for mesothelioma. First-line treatment for those are not surgical candidates (the majority of patients) hasn’t changed since 2005. Disselhorst, M. (2019, January 16). Ipilimumab and nivolumab in the treatment of recurrent malignant pleural mesothelioma (INITIATE): results of a prospective, single-arm, phase 2 trial.